Making a volcano experiment can be easy and fun if you have all the supplies you need on hand and teach kids how to make a model that's relatively quick. This allows them to get to the fun part of the experiment sooner. This project works for a classroom demonstration or a group project. 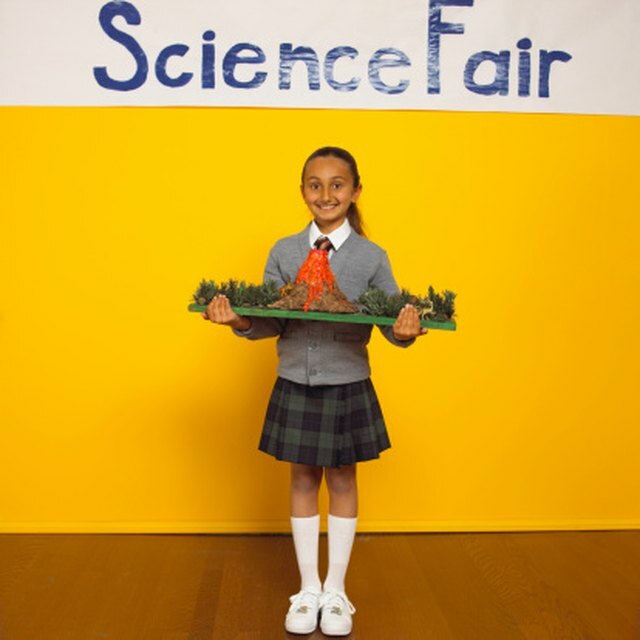 Kids can work in teams on the volcano experiment or each can build an individual model. Show pictures or videos of real volcanoes. 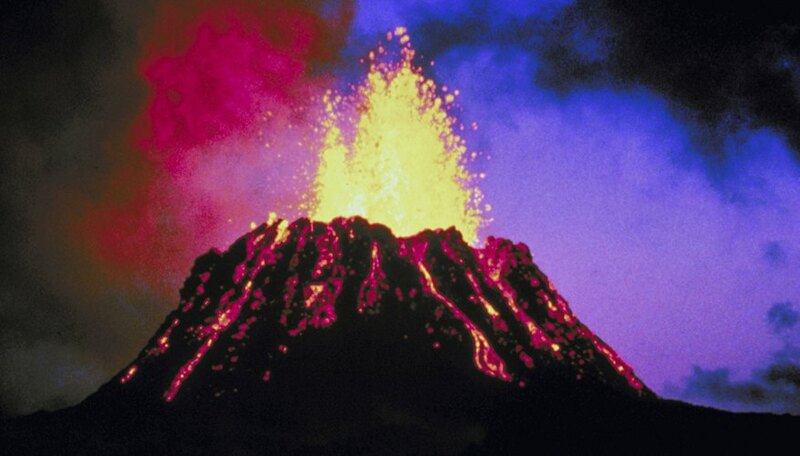 Discuss the purpose of the experiment, such as explaining how a volcano erupts. The lava for the experiment works because of the chemical reaction between vinegar's acid and the base baking soda. Prepare for the mess. Conduct the experiment outside, if weather permits. Alternatively, cover a table with plastic, such as a drop cloth or cut-open garbage bag and cover the plastic with newspaper. Place cardboard inside a cookie tray for each volcano experiment. This provides a support for the model and the cookie baking sheet catches the lava flow from the eruption. Make a modeling clay volcano. This version is more durable than paper mache or homemade clay volcanoes and it's ready to erupt as soon as it's built, without the drying stages and extra time to paint the model that can be frustrating for kids. Show the kids how to glue the base of a 16-oz soda bottle in the center of the cardboard base. Direct them to form the shape of the volcano by smoothing balls of modeling clay around the base of the bottle and tapering the shape of the volcano as they add more clay up to the top of the bottle. Guide the kids through creating the lava mixture. A 16-oz. soda bottle in the middle of the volcano model works well for a lava tube. Direct the kids to pour 1 cup of vinegar, 1 tablespoon of dish soap, eight drops of red food coloring and three drops of yellow food coloring into the bottle, and then to add 2 tbsp. of baking soda in a twist of tissue to set off the eruption. Let the kids repeat the volcano experiment multiple times for the fun of making the volcano erupt. Wear old clothes to avoid the risk of staining good clothes with the food coloring. Cut the top off the plastic bottle for the lava tube at an angle to resemble the natural opening of a volcano. Use a scissors to carefully poke a hole through the plastic 1 inch or more below the neck of the bottle and cut the top off at a 30 degree or greater angle. For a group project, prepare all the bottles in advance, both for safety and to save time. Avoid using glass bottles of food coloring to prevent the risk of broken glass and spills. The small kits of food coloring that come with multiple small plastic bottles make it easy for kids to squeeze drops of color for the lava mixture without the risk of spills or injuries. Put the caps back on the food coloring and remove the bottles from the work table when you're finished with them. Adams, Gryphon. "How to make a "Volcano Experiment" Easy and Fun." Sciencing, https://sciencing.com/volcano-experiment-easy-fun-4738693.html. 24 April 2017.